I’m using a plan devised by MG in the 1950s for raising a little more power from the engine I’m building for my TD. 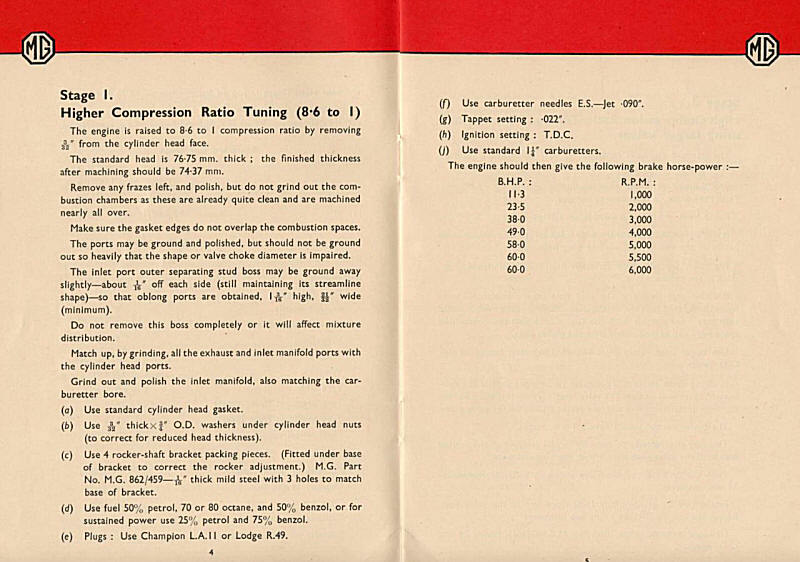 The following is an excerpt from the MG tuning manual which I’ve adapted for my rebuild. In addition, I’ve also relied on the excellent 1968 booklet by WFK Wood entitled “The XPAG Engine, Data, Service, Super-tuning.” I’ve also received advice from members of the MG Enthusiasts web-site.